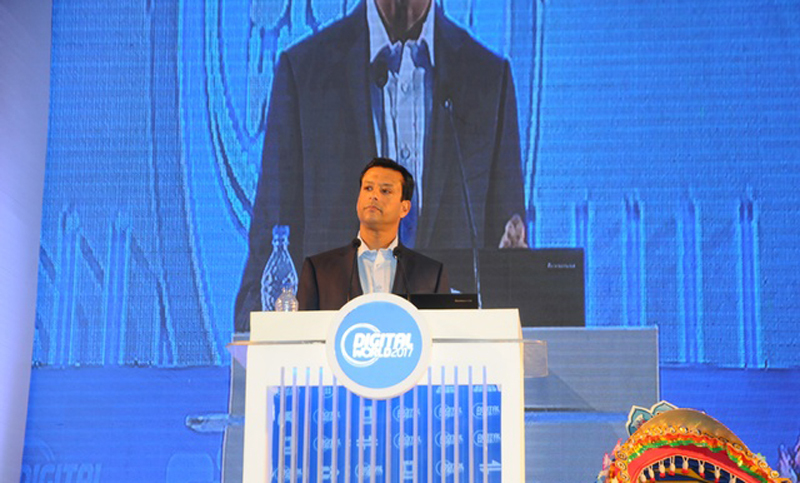 Prime Minister's ICT Affairs Adviser Sajeeb Wazed Joy on Thursday said information and communication technology (ICT) education will be introduced from the primary level in near future, reports BSS. "Computer training is now being given from class VI. Hopefully the ICT education can be introduced from the primary level in next few years aimed at building skilled manpower," he said while presenting the keynote paper at the ministerial conference on the second day of 4-day mega event 'Digital World-2017' at the Bangabandhu International Conference Centre (BICC). Joy, also grandson of Father of Nation Bangabandhu Sheikh Mujibur Rahman and son of Prime Minister Sheikh Hasina, said the text of ICT education at the primary level would be made easier for the kids. He said Bangladesh does not want to remain as a cheap-wage labour exporting country rather it wants to be a technology exporting one. "It is high time for us to talk about fourth industrial revolution as the rapidly changing technology has been bringing radical change to every part of human life resulting quick economic growth and industrialization," he also said. He said the government along with the private sector has been working for the development of information and communication technology (ICT) sector while the countrymen also started getting yields of it. The PM's ICT adviser said now 40 percent government services have been made digitized since the journey of Digital Bangladesh began while 80 percent services would be digitized in the coming days to help people get services at home by using smart phone. He said the number of internet and social media users has also increased a lot. Principal Adviser to the Prime Minister of Congo Diedonne Kalombo Nkile, Cambodian State Minister for Posts and Telecommunications Kan Channmeta, Bhutanese Information and Communication Minister Dina Nath Dungyel, Maldivian Deputy Minister for Defence and National Security Thariq Ali Luthufi and Philippines Department of ICT Director Nestor S Bongata took part in the conference.